Missing, Broken, Unpleasant Teeth? Gaps Stopping You From Smiling? Dentures Causing You Problems? Want To Know More? Are you embarrassed by your teeth? Haven’t been to a Dentist for years? Or terrified about the whole idea of getting your mouth in good shape? 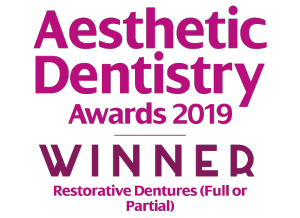 Dental Implants are a great way for you to fill unsightly gaps, and are a permanent alternative to partial dentures – without any of the clasps and metalwork that come with a partial denture. Whatever the reasons, the consequences of gaps or troublesome dentures can have a negative impact on your quality of life. You may no longer eat many of the foods you once enjoyed. You might feel self-conscious about your appearance and you may even stop laughing and smiling spontaneously. When we chew, a healthy tooth strengthens the quality of the jawbone and helps prevent bone loss. Missing teeth, on the other hand, can cause the jawbone to shrink. Physical changes to the face are a frequent result. You begin to look older than you really are. 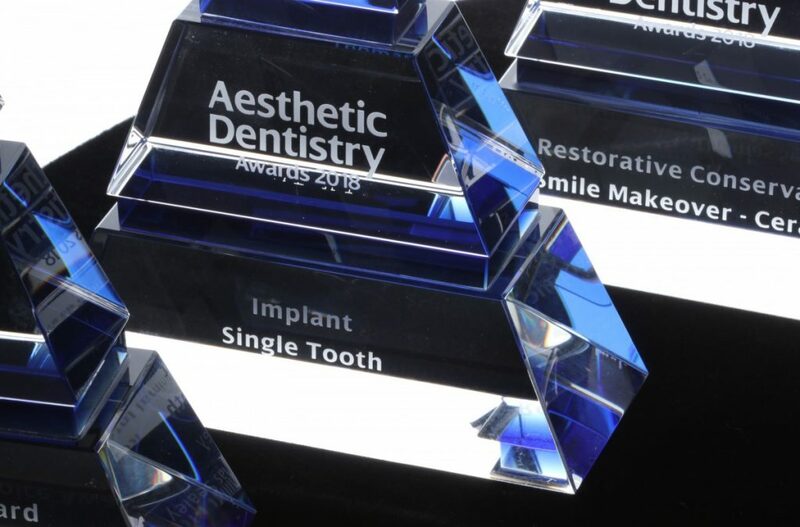 Dr Tony Aneiros has completed a Masters Degree in Implant dentistry and has over 10 years experience in providing implant solutions for patients embarrassed with missing teeth and finding it hard to eat the food they want. Say Goodbye To Dentures And Missing Teeth Today! Implants consist of an artificial root made of titanium which is gently placed into your mouth. The procedure is usually carried out under local anaesthesia, but sedation can be used if you are nervous or anxious about your treatment. In addition, we offer relaxation techniques to take away any stress. When the implant has integrated into the bone it can then be used to support a crown, bridge or a denture, thus a lifelong stable solution for missing teeth. Will They Help Me Maintain My Appearance? Maintaining your natural bone is one of the most important advantages of dental implants. Significant bone loss can shrink the contours of the jawbone, causing wrinkled lips and a sunken mouth and chin. Dental implants can help counteract that by preventing resorption of the jawbone and stopping bone loss. Once placed, implants cannot be felt. Titanium implants are completely bio-compatible and very well-tolerated by the body. The same applies to all-ceramic replacement teeth. 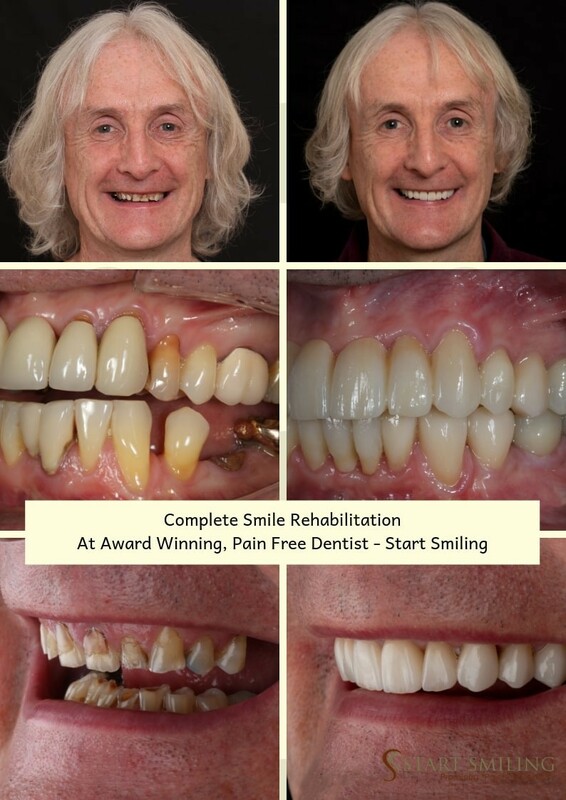 Dental implants can also be used to provide support for dentures, a treatment option the team at Start Smiling will be happy to discuss with you. Implant retained dentures involve attaching dentures to the new artificial roots, giving you the stability to talk and eat without the worry of your dentures becoming loose. New teeth are attached to 2 or more dental implants, making this a cost-effective option. You can chew with confidence a variety of foods and your sense of taste is unaffected. Your teeth can be removed for cleaning and the need for denture adhesives is eliminated. If you only have one tooth missing then a single tooth implant can be used to fill the gap. The appearance of the new tooth will be matched to your existing teeth to give you an undetectable result. 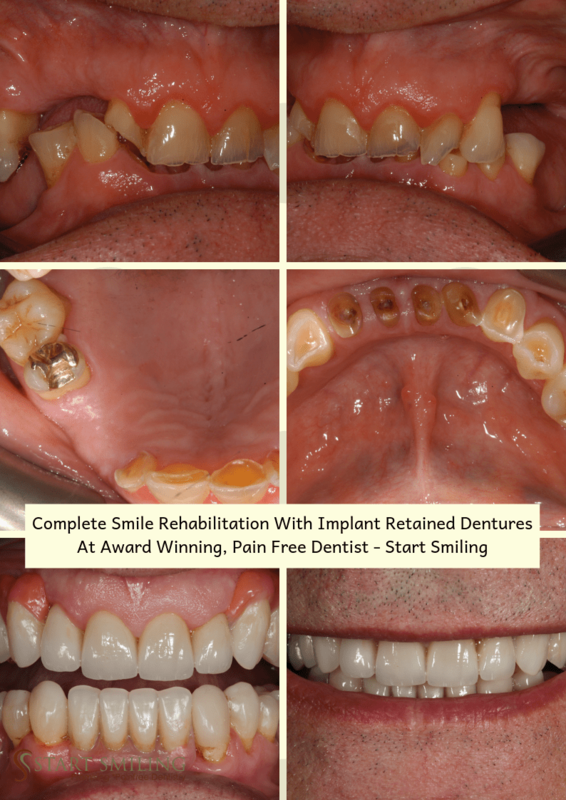 Whether you have lost multiple teeth through illness, an accident or you simply have poor teeth, multiple dental implants can be placed with a permanent fixed bridge. This firm prosthesis will ensure that you can eat and chew whatever you like, without any worries. We have a state-of-the-art 3D scanner which allows us to determine exactly how much bone you have and whether implants can be placed. You will not need referring into London, as with so many other practices, we can do it all in-house. Are you struggling with your dentures, or embarrassed by your missing teeth? Why not pop along to Start Smiling for a Free Smile Analysis, where we can discuss your concerns and see if and how we can help. Just pop your details into the form below or call the practice today.